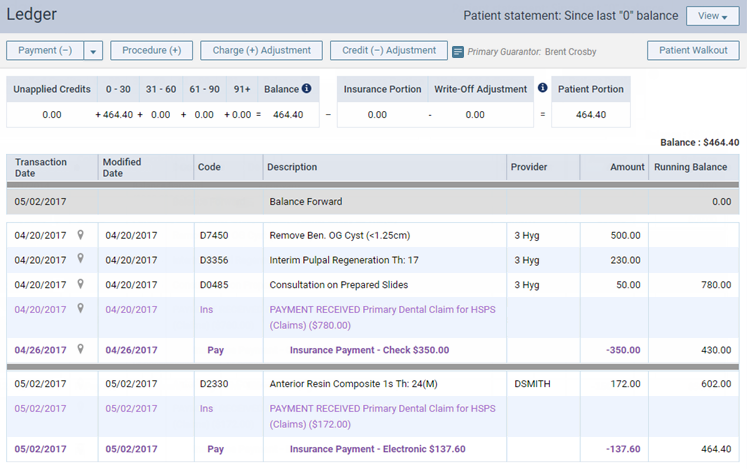 You can void completed treatment in a patient's clinical chart or ledger. You can void only completed procedures, not planned or existing treatment or conditions. Also, you cannot void a procedure that is attached to a claim. 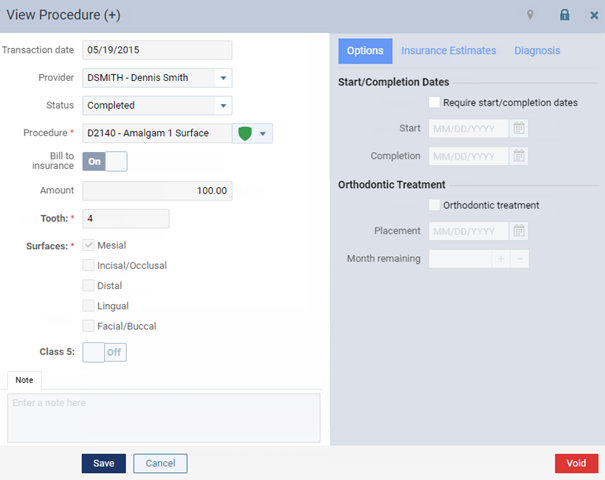 Voiding a procedure does not remove it from the clinical chart or the ledger. The option to void a procedure is not available if the procedure was posted on the current date or if the procedure is not locked according to a certain ledger option; you can delete the procedure in that case. Tip: If necessary, in the ledger, you can post an offsetting credit adjustment for a voided procedure. The View procedure dialog box appears. 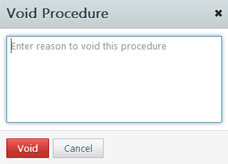 The Void Procedure dialog box appears. Type the reason that you are voiding the procedure.